These vinyl adhesive-backed labels are compatible with pen, pencil, typewriter and rubber stamp. The size, 5/8"h x 1-1/2"w, is perfect for small spaces. Save money when you order more. 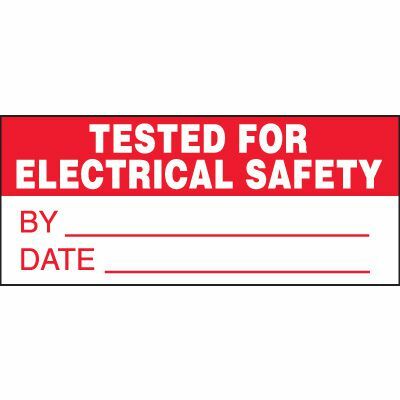 Wording: "TESTED FOR ELECTRICAL SAFETY BY __ DATE __"